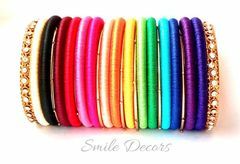 Silk thread mix and match rainbow bangles in 15 different shades with border bangles. Available for both single and both the hands, please choose the quantity accordingly. A perfect daily wear for college and office goers. After every use, gently tap the jewelry using cotton/dry cloth and store them in any closed box/ziplock pouch. Please do not press the metal/stones in the bangles too hard. 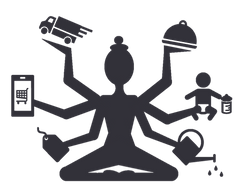 The product will be dispatched within 5-7 working days from the date of dispatch. Bangles are available from 2.2 to 2.12. Please choose the size in the option while placing the order. Can be customized in any other color and size as well. To discuss further regarding customization please click Let's Chat icon.